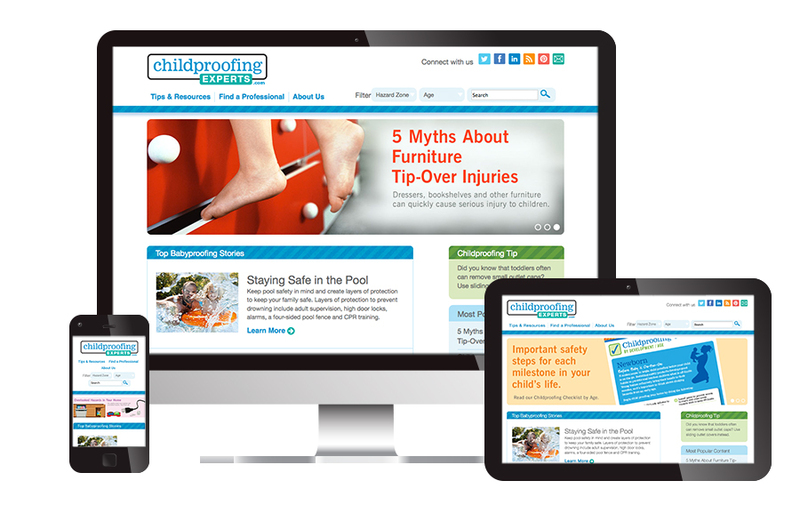 Childproofing Experts, created by the International Association for Child Safety (IAFCS) is a resource for providing information on childproofing to individuals and help connect people with professional childproofers. 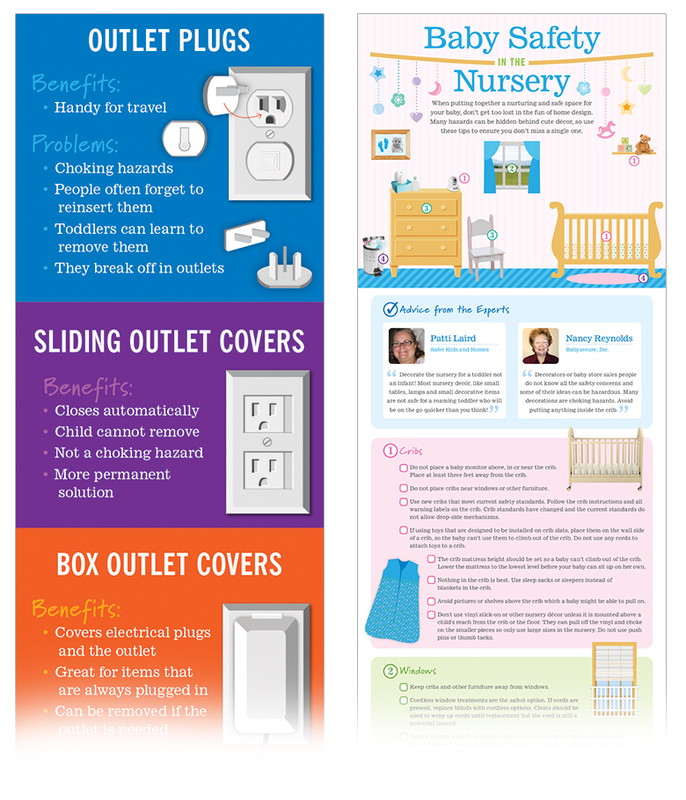 Visible Logic worked with Childproofing Experts to develop their brand and content-marketing strategy. Working closely with the Executive Director of the IAFCS, we developed an editorial calendar, edited articles, designed infographics, organized member tips, created checklists and more. The series of projects including developing the logo design and website design for the e-zine style web site. 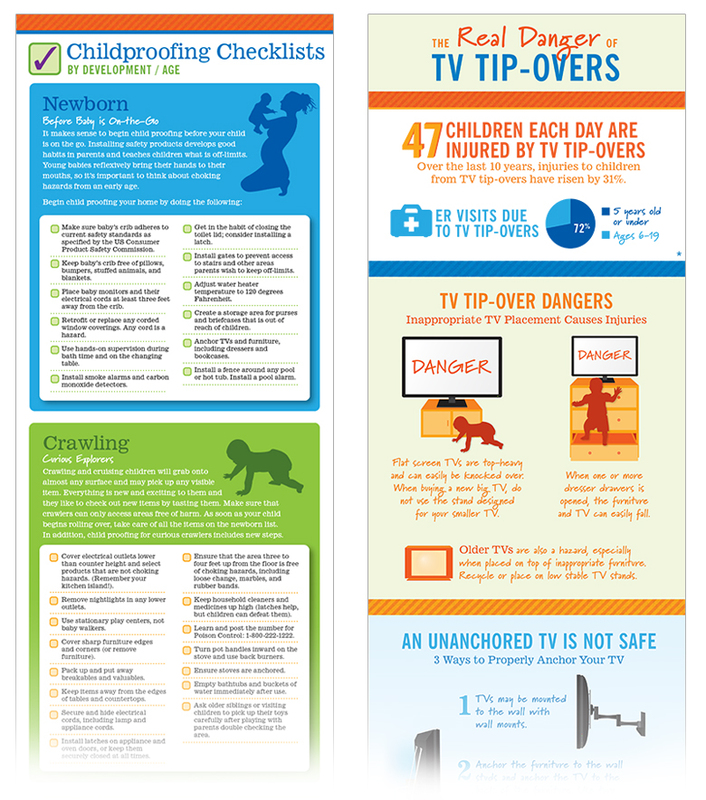 Then, continuing on to the writing, editing and design of numerous infographics, slideshows and articles. 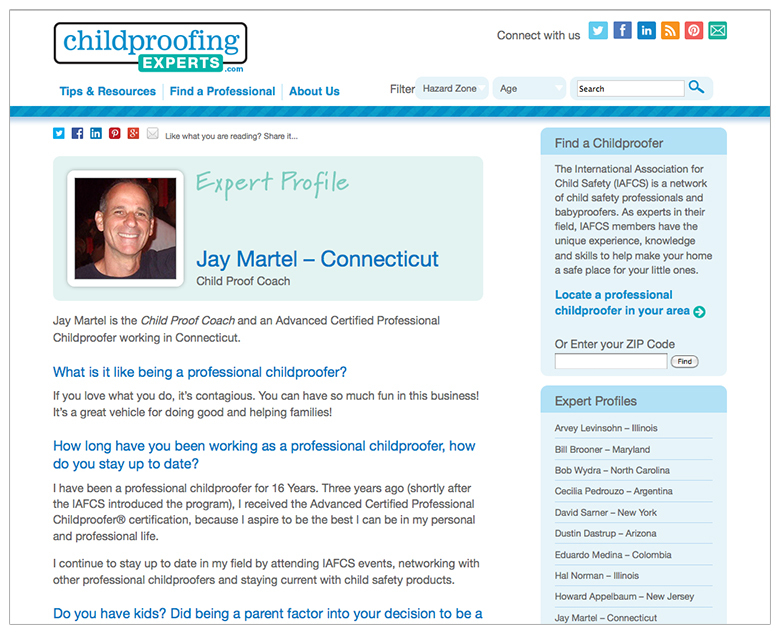 The International Association for Child Safety wished to connect with parents and caregivers to become the ultimate resource on baby proofing and child proofing. To make their content more shareable, all content was highly visual. 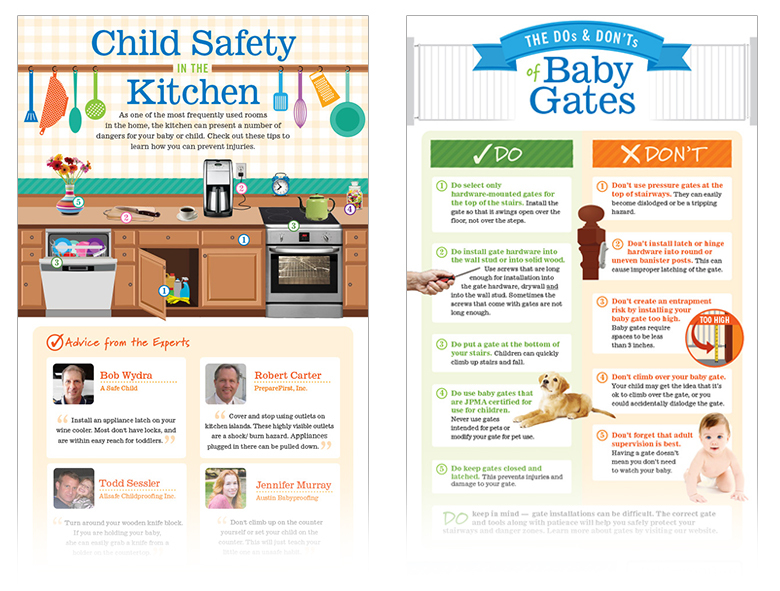 Infographics were developed that shared safety tips, safety-gear installation.